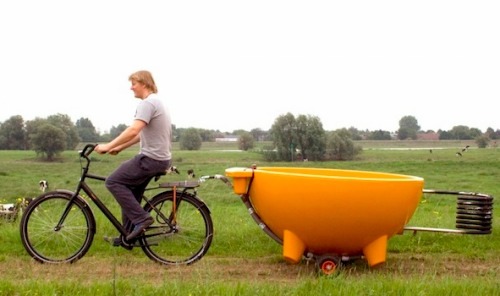 BikePortland reports that a Portland, OR bike shop is preparing to rent out hot tubs that can be towed via bicycle! Wouldn’t it be nice if one of these were available around here for a family ride to Iverson Park? You can read the full BikePortland post that includes more pictures here.